After coming to Canada in 2010, Alsu performed in many different bands and orchestras, including the “New Generation” Chamber Orchestra and “Kleztory” klezmer band in Montréal, Québec. Since moving to Halifax, she has performed regularly with the Nova Scotia Youth Orchestra, and as a featured soloist with the Stadacona Band of The Royal Canadian Navy. Since 2017, Alsu has regularly performed as a substitute within Symphony Nova Scotia. 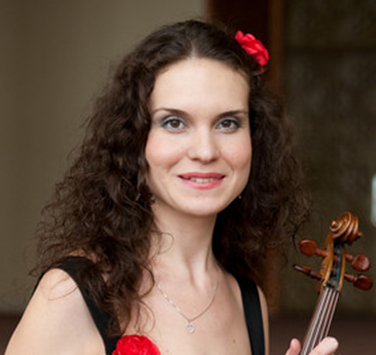 She is also a teacher of violin and piano, successfully preparing her students for Royal Conservatory exams. Alsu is the proud wife of a military musician and mother of their little daughter. She loves cats, and enjoys yoga and walking.